The King Salman World Rapid Championship continued today at the iconic Apex Convention Centre in Riyadh, Saudi Arabia. Players from 55 countries, among them 10 men out of the World Top-15 as well as 11 out the World Top-15 women, are competing in this prestigious event. Five more rounds were played in both Open and Women’s sections. 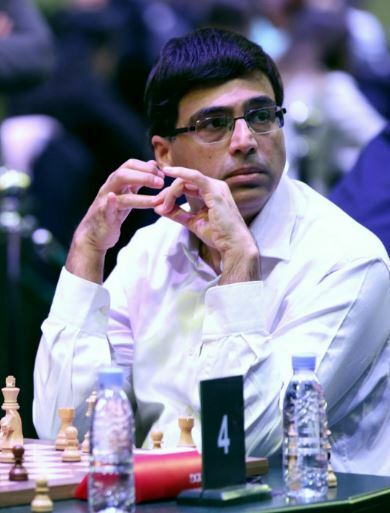 The five-time World Champion Viswanathan Anand had a good day at the office. He successfully dismantled his nemesis Magnus Carlsen with black pieces. Anand employed Rubinstein variation of Nimzo Indian defence. In the middlegame, he gave a powerful rook sacrifice which enabled his light-squared Bishop to have complete control over White’s Kingside. 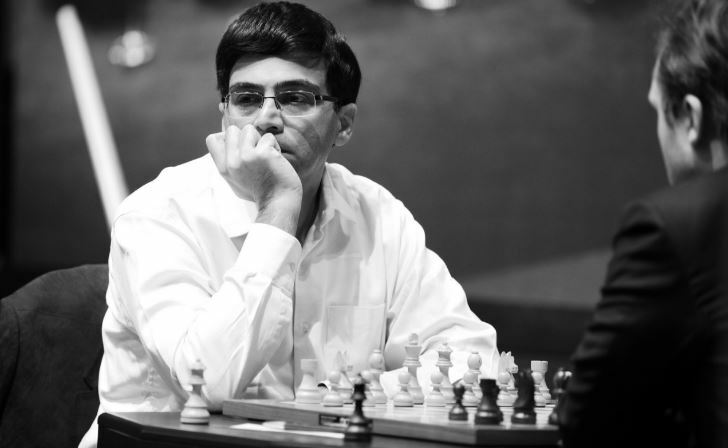 Anand exchange-sacrificed his second rook to deliver a final blow. In a Damiano’s bishop mate pattern, a classic method of checkmating, the threat was too powerful for the Norwegian. The reigning World Champion resigned on 34. Anand is in joint-second position on the leaderboard. 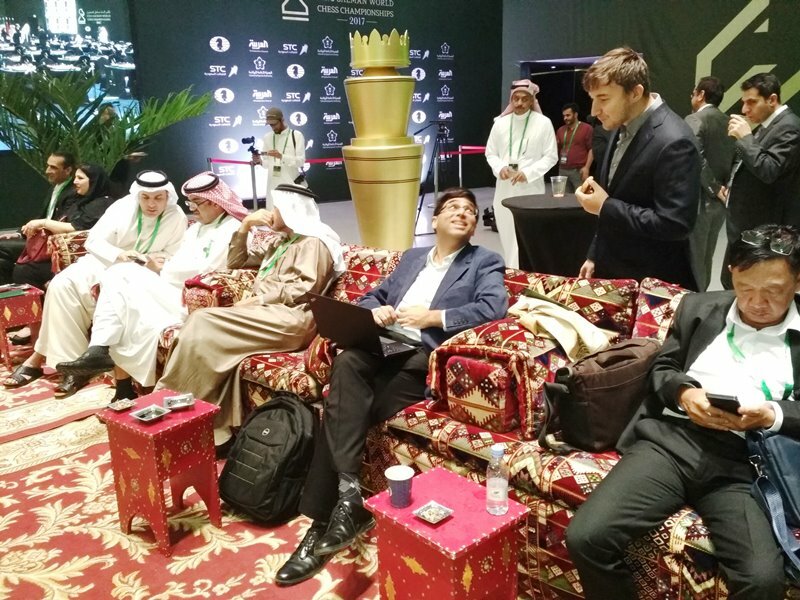 Russia’s GM Vladimir Fedoseev is the sole leader with 8.0/10 points. 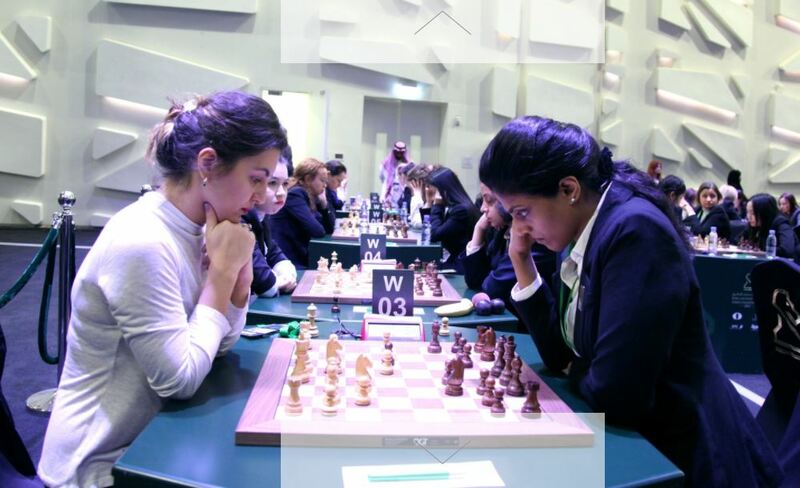 In the Women’s section, GM Dronavalli Harika is closely behind the leaders on 7.0/10 points. She defeated reigning World Junior Girls Champion Abdumalik Zhansaya of Kazakstan in round 7. The overnight leader in the Women’s section, Ju Wenjun of China is singling out on the top of the standings with 8.0/10 points. Previous Previous post: Bhopal Grandmaster Open: Himanshu defeats Timur, now eyes on title!